Digital SNMP & Modbus TCP sensor designed for monitoring 24x7 hydrogen levels from battery banks..
- with a ±1% accuracy. The ENV-H2 sensor connects to the the base unit. This makes the device an ethernet hydrogen sensor. The sensor measures the hydrogen in the air. 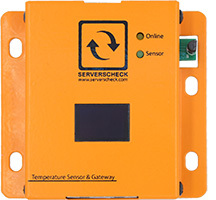 This sensor is designed to monitor conditions in server rooms and other sensitive area's. Hydrogen reading is done through the external probe. Alerting via email, SMS, voice call. Integrates with BMS platforms using the Modbus TCP protocol. Or with NMS systems through SNMP GET and SNMP TRAPS. Operating temperature range: -40ºC to +50ºC (-40ºF to +120ºF). Operating humidity range: 10 to 90% rH (non-condensating). 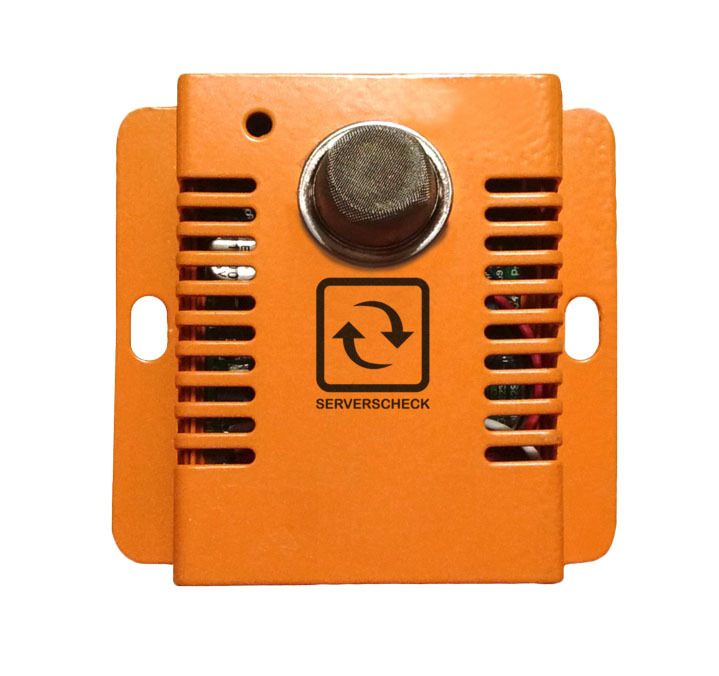 Housing: Orange metal case with status led.